In 1997, the Friends of Treborth Botanic Garden was founded, with a remit to help improve the gardens and facilities. The Friends organise a variety of events, such as lectures, workshops, field outings, garden visits, plant sales and open days. Volunteers also help to keep the gardens trim, and look after the plant collections. Find out more about volunteering at the Botanic Garden. 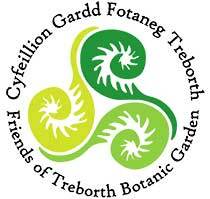 The Friends of Treborth Botanic Garden is a charity and a not for profit company, established to support the work of the garden. More information about their work.